As newspapers, magazines, TV channels, radio stations and the Internet jostle with each other for space in the average person’s life, the baits to lure him turn more dramatic, scandalous and instant. Consequently, in this rush of breaking-news and fat pay-packages, facts are side-swept, research is compromised, and the truth twisted. In such a scenario, it is only a media person with an unshakable integrity, sharp wit, impeccable training and an erect spine who is the hope to fight through the fluff to surface with the truth, a fresh perspective and a new direction. And that is the raison d’etre for CSMC. We strive to ensure that each student who walks out of our program becomes one such hope. And with each passing year this tribe may grow to become a forceful team that changes the way the media industry thinks, behaves and operates. All CSMC programs are built on strong theoretical foundations, which are supported by applied research into the dynamics of communication and the creative industries. This is backed by imparting professional expertise to our students for which the School has established close links with national and regional media companies. CSMC also boasts of an excellent employment and research record. The means of delivering news is evolving but the skills required to publish the news remain the same. Here, at Chitkara School of Mass Communication, the print stream focuses on sound, solid, hard news reporting for newsprint and magazine. Through the Broadcast Journalism program you will master the best techniques of reporting, writing and editing news stories. You will learn television and radio skills, and to shoot and record interviews. More media houses are adding online/web to their print and/or broadcast offerings, and updating them regularly. The ‘Convergence’ program of Multimedia combines print and broadcast into online. 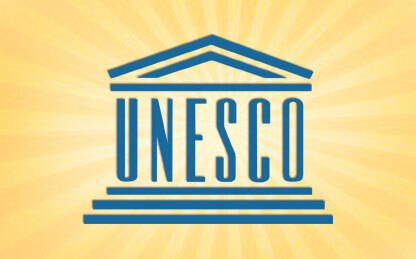 An ability to think critically, incorporating skill in comprehension, analysis, synthesis and evaluation of unfamiliar material, and a basic understanding of evidence and research methods. Our Media programs aim at transforming and nurturing individuals into seasoned professionals. 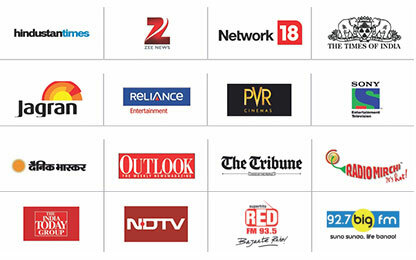 Every year, top media companies of the country visit our campus for recruiting our students. 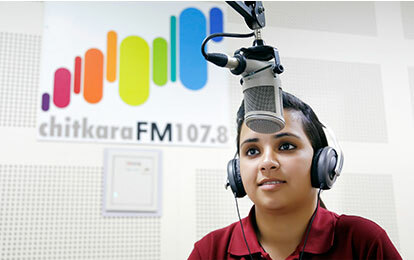 The community radio of Chitkara University can be heard on 107.8 MHz FM and is completely managed by our Media students. We have our own independent recording and broadcasting facilities which provide an excellent learning platform for all students who actually run the radio station. 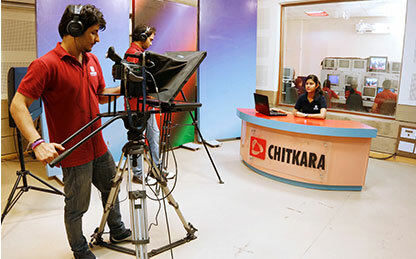 All these facilities make us the first choice of students among Mass Communication colleges in Punjab and Chandigarh.